Coming from their success in the 2014 Cinema One Originals Film Festival, the romantic-comedy film “That Thing Called Tadhana” will be distributed by Star Cinema on the big screen this February. As the top grossing film and the audience choice winner in the said film festival, this wonderful movie totally deserves to be shared and be shown in a greater audience. Starring are JM de Guzman and Angelica Panganiban who showed a remarkable chemistry in the movie. The creative team of this film is the same creative team behind the acclaimed Metro Manila Film Festival entry”English Only Please”. “That Thing Called Tadhana” is directed by Antoinette Jadaone who have also wrote and directed several romantic-comedy films. 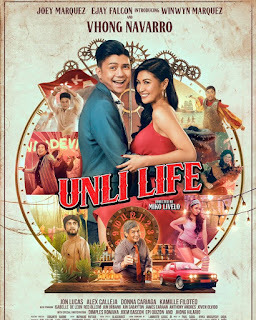 The movie is labeled as “The Ultimate Hugot Film of 2015” (Hugot: drawing out; pulled out) because of its hugot lines which can make viewers relate to the film. “That Thing Called Tadhana” is a film about a girl that just came out from a bad break-up. The broken-hearted Mace (Angelica Panganiban) went home from Rome but before she stepped into the plane, she had to leave some of her things because it was too many. But instead she met Anthony (JM de Guzman), a kind fellow citizen who offered to carry Mace’s excess baggage. Little do they know that the excess baggage that they are bringing is not just only a physical thing but will be more of a personal and emotional deal. We all get hurt in love but then we always choose to love because love is the greatest feeling in the world. Will they find love in each other? Are they willing to carry each other’s excess baggage? Find out and watch this amazing movie on February 4, 2015 in cinemas near you.